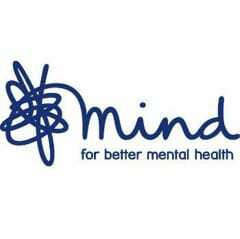 New data from mental health charity Mind gives an insight into the mental health of 15,000 employees participating in Mind’s first ever Workplace Wellbeing Index, a brand new benchmark of best policy and practice when it comes to staff mental health. Thirty organisations Thirty organisations participated in Mind’s first ever Workplace Wellbeing Index. Of these, 29 completed the full index assessment. took part in the Index including Deloitte, HMRC, the Environment Agency, Jaguar Land Rover and PepsiCo. According to the survey results Mind (2017): Online survey of 15,022 employees from across 29 participating organisations in Mind’s Workplace Wellbeing Index 2016/17, of those staff who had disclosed poor mental health at work (2,200 employees), just over half (53 per cent) said they felt supported, and 72 per cent said they’d been made aware of the support tools such as Employee Assistance Programmes (EAPs), counselling, staff support network or informal buddying systems. Over half (56 per cent) were offered reasonable adjustments or support measures, such as changes to hours worked or the nature of some of their duties. Tonight will mark Mind’s first Workplace Wellbeing Index Awards, an event recognising and celebrating employers’ commitment to making mental health at work an organisational priority. Based on a number of measures, and input from HR professionals, managers and staff from within their organisation, the 30 employers will be awarded either ‘Gold’, ‘Silver’, ‘Bronze’ or ‘Committed to Action’. The event will take place in central London, hosted by TV presenter, author and Mind Ambassador, Anna Williamson who will announce the results of the Awards. The Index highlights the good work and creative initiatives that employers are offering to promote and support positive mental health. From hosting wellness webinars and appointing mental health champions to providing free meditation sessions and tennis tournaments for staff. The Index also provides all employers that have participated with key recommendations on the specific areas for improvement. While the research suggests that overall, staff working for these organisations reported having good mental health at work, where their mental health wasn’t good, they felt their workplace was a contributory factor. Just over 1 in 10 (12 per cent or 1,765 employees) said their mental health was poor. Over one in four (26 per cent) experiencing poor mental health said that this was due to problems at work. The results also show a discrepancy between how well managers feel they support staff versus how well supported employees feel. Only half of respondents (54 per cent) felt that their line manager supports their mental health, yet three in four line managers (73 per cent) 5,423 of our 15,022 survey respondents had line manager responsibilities said they’d feel confident in supporting a member of staff experiencing a mental health problem. There’s still a problem with employees feeling able to talk about their mental health, as only one in four (26 per cent) of all respondents said they would be likely to seek support from their manager if they were experiencing a mental health problem. Mind has long been calling on employers to create an open culture where people feel able to discuss their wellbeing and tackle the causes of stress among their staff. The most mentally healthy workplaces are those that have in place measures to tackle the causes of work related stress and poor mental health, promote good wellbeing for all their employers and support staff experiencing mental health problems. “I know first-hand how difficult it can be talking to your employers about your mental health. For many years, I’ve battled severe anxiety and panic attacks, culminating in me having a breakdown while working on a children’s television programme early on in my career. Fortunately, my employers were great, I was signed off work for a bit, and given lots of support from colleagues while I was off and when I returned. I only wish I’d opened up sooner before things got so bad, but it really depends on the culture of the workplace.